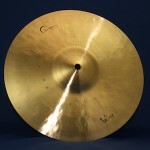 Dream Cymbals makes professional quality, hand-hammered cymbals at a more affordable price point than many other manufacturers. Low Prices and Best Service at Drummers World! 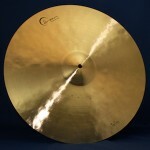 The Dream Cymbals "Bliss Series" Ride cymbal is hand hammered with lots of wash and very warm undertones. It is affordable and is thin weighted with a small bell. Ideally designed for Jazz, shows, and alternative music forms. The tone is dark with good stick definition. Available in 20" and 22". 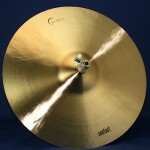 Dream cymbals are an affordable alternative to the higher priced cymbal market. They are professional quality and are all hand hammered. The Bliss series is designed for the player looking for thinner more explosive cymbals. Ideal for Jazz, shows, and alternative music. The hi-hats are well balanced and have a warm, vintage sound. The chick is solid and consistent. Available sizes are 14" and 15" pairs. Very thin, dark and explosive is the best description of Bliss crashes. 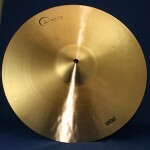 They are hand hammered by Dream cymbals and have warm undertones with lots of wash. They respond and decay fast. Great for shows and alternative music. They are professional and budget priced. 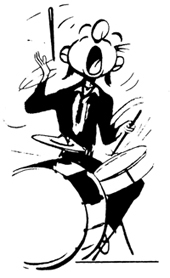 Hand drummers can use without sticks to get a full crash. Available in 16", 17" and 18". 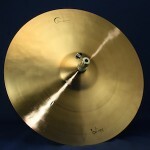 Dream Cymbals Contact Series Hi-Hats are bright with a strong chick sound. They are cutting and will propel at loud volumes. Hand hammered with a nice feel to them, they are not overbearing and are very versatile and usable in acoustic and electronic situations. Professional quality and very affordable, they are available in 14" and 15" pairs. The Contact Series crashes are bright with a fast response and extended decay. They are hand hammered by Dream cymbals and are designed for heavier hitting when louder volume is desired and for Rock playing. Available in 16", 17" and 18" sizes. 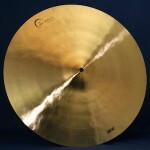 The Dream Cymbal Contact series Rides are bright with good overtones and larger bells than the Bliss series. They are designed for heavier playing and are full bodied. Hand hammered, they are ideal for Rock playing and heavier acoustic styles. Budget priced but professional quality, they are available in 20" and 22" sizes.